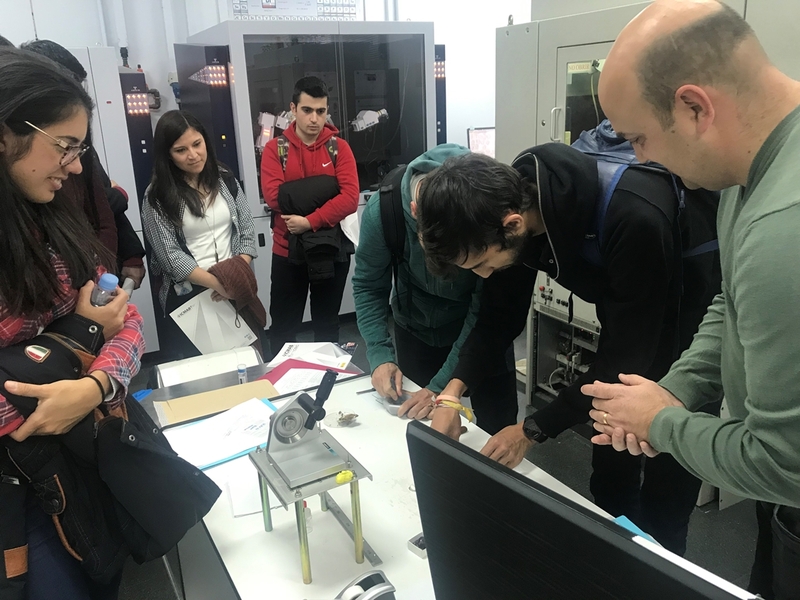 Elena Bartolomé, Associated Researcher at ICMAB at the Superconducting and Large Scale Nanostructures (SUMAN) group, and Professor at EUSS, organized the visit to the ICMAB so that her students could see what is a research center like, and what is the current research in materials science in the fields of energy, electronics and nanomedicine. 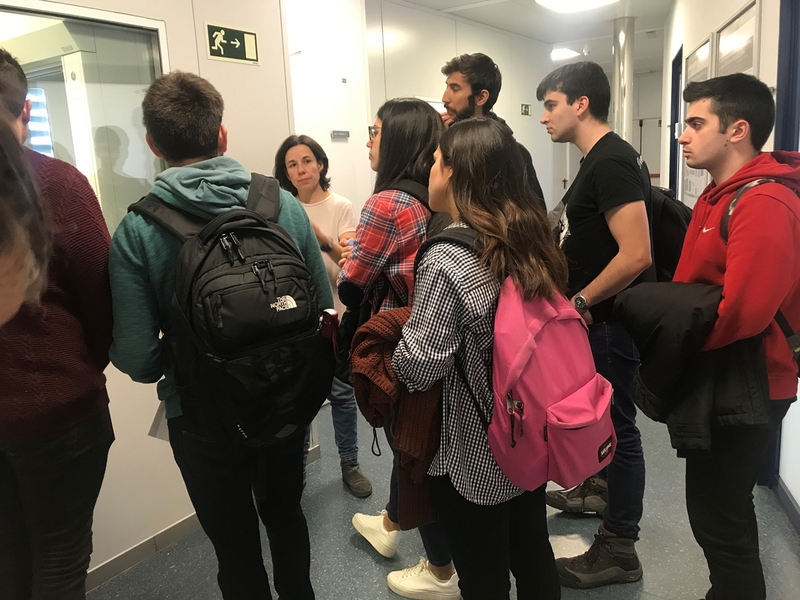 After a brief introduction by Anna May Masnou, Communication & Outreach Officer who coordinated the visit, Xavier Obradors, ICMAB Director, gave an overview of the ICMAB, its people, and the research in the current five research lines of the Institute: materials for clean energy conversion and storage, superconductors for power applications, oxide and molecular electronics and nanostructured biomaterials. 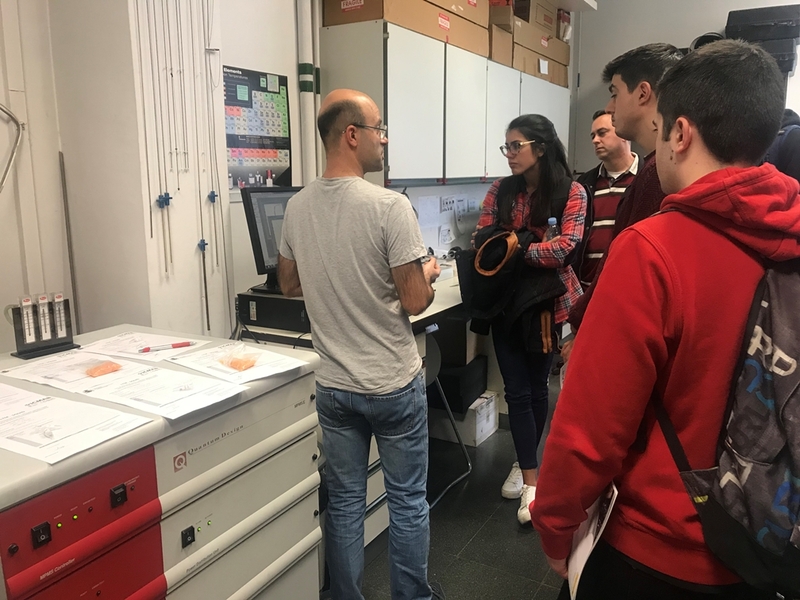 After the talk, the group of 20 students could visit the Low Temperatures and Magnetometry Lab with Bernat Bozzo, the X-ray diffraction Lab with Anna Crespi and F. Xavier Campos, and the Nanoquim Platform (Cleanroom) with Neus Romà and Luigi Morrone. 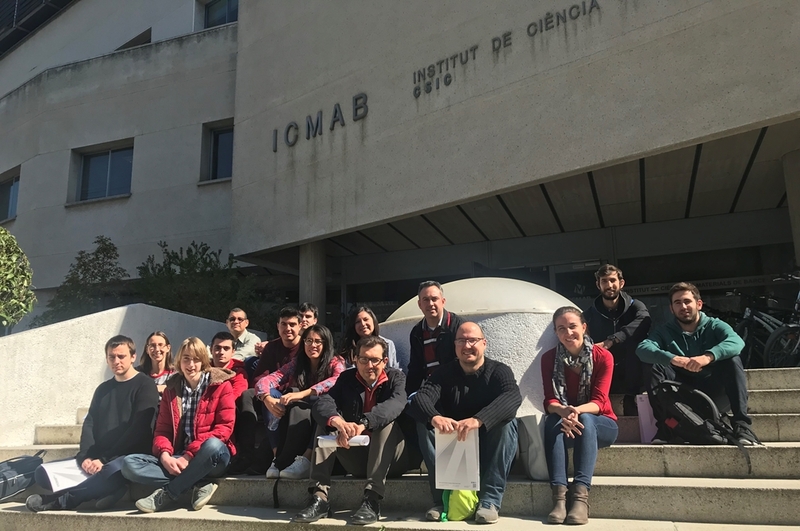 Thank you, EUSS students and professors for visiting us, and thank you to all the ICMAB staff who collaborated in this visit!